Kelowna Water Taxi & Cruises loves to be flexible! Want to do a little "mix-and-match" tour, combining a boat tour with a drop-off for lunch or dinner, or want to visit a beach area, or just spend time walking around an area.... No problem... Call Peter Brady at 250-864-9448 to discuss your ideas and he will do all he can to accommodate your wishes, as well as give you a cost estimate for your custom cruise. 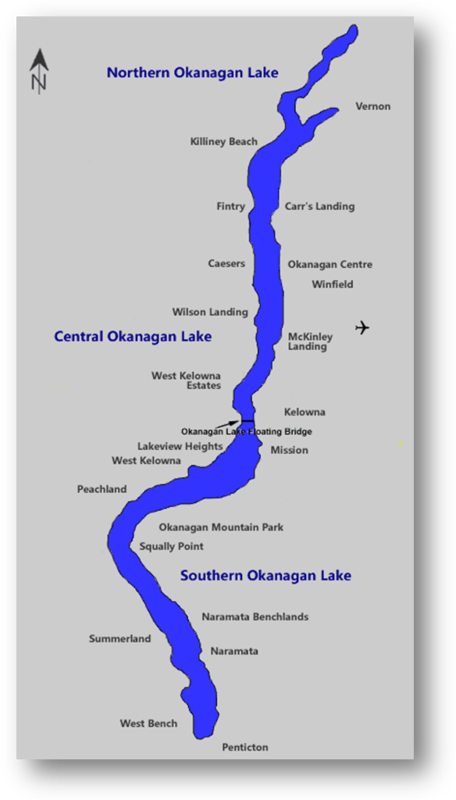 For those who want to combine a boat tour with a little sightseeing at specific places along Lake Okanagan, we have put together a list of boat docks where we can land to drop you off or pick you up. These may change without notice, so please check with us first to ensure that the spot on the list is still available at the time you want to take a tour. Eldorado Hotel dock - private - for resort guests only. Manteo dock - private - for resort guests only. Vernon - "Kin Beach" with a very small single launch/dock. Casa Loma Resort (on Casa Loma Rd.-private - for resort guests only). Strachan Bay (on Beach Ave.
Okanagan Marina on Lake Okanagan.